Hosting a poker night at your own house can be a fun way to catch up with friends while enjoying this beloved card game, but what preparation is needed to host your own poker game? We’ve provided a guide to all the ingredients required for hosting a successful poker night, including the equipment needed and the laws involved. Poker is a fun and socially driven card game that can be played in any household with the use of some simple equipment. It can be a great excuse to invite friends over for an overdue catch up, a way to make new friends, a platform to identify new business opportunities, create new networks or just have a good old laugh. If you decide to play for real money, it also provides the opportunity to win some cash. If nothing else, a home poker nights is a great way to sharpen your poker skills and work on perfecting your poker face. Is it legal to host your own poker night? Before you even consider hosting a poker night in your own home or any other private property, you must first be aware of the laws that apply in your area regarding home poker games. The laws vary between each country and state, so it’s up to you as the individual to do your research and understand the laws that apply to you. A google search of your local liquor and gaming authority is usually a good place to find information regarding illegal poker and unlawful betting practices. Generally, hosting a poker night in your own home is usually allowed, provided that the host, home owner or anyone else is not benefitting financially from the game. This means you can’t charge players to enter your house or take part in the game, but the players can lawfully bet real money between themselves on the poker game itself. Standard gambling laws apply, including that the game must be fair and unbiased, and that all players must of the legal gambling age. Penalties do apply to anyone found to be breaking gambling laws, so it is vital you understand your local laws before hosting your own poker night. Something as simple as creating your own Facebook event for your poker night could be deemed illegal if it was interpreted to be promoting or enticing gambling, so we cannot stress enough how imperative it is you understand the laws that apply to you. 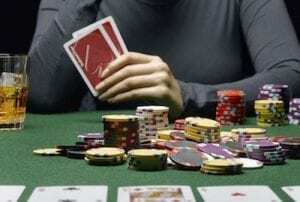 Who you decide to invite to your poker night depends entirely on what you have envisioned for the night. If it’s a casual catch up with mates you have in mind, invite your favourites for a laid back, no pressure night of poker and beers. If you’re using the poker game as a networking opportunity, consider inviting some colleagues, or a mix of friends and colleagues to get the right blend of business and leisure. The most important thing when deciding who to invite is choosing level-headed, friendly people who won’t let the game get too heated. When money is on the line things have the tendency to get a little tense, and you want to make sure there is no one at the poker table who will take things too seriously or get carried away, especially if alcohol is involved. The rules of responsible gambling are as relevant to your home poker game as they are to any land based casino. From there, everything else is optional. You will want to make sure your guests are adequately catered for by providing food and drinks, which can be done to suit your budget. Classic bar snacks like chips and nuts or anything that can be eaten with one hand is always a winner as it is easy to eat around the poker table, or you can set up a separate food table if you want to get a bit more elaborate. If you’re hosting the poker night as a special occasion and your budget allows it, you may even want to consider hiring caterers to serve your guests. This will be one less thing you have to worry about so you can just focus on having fun. Before your guests sit down to play at the poker table, make sure you have clearly established the rules of the game. Clarify what type of poker game you will be playing (Texas Hold’em, Five Card Draw, etc) and make sure everyone knows the rules before game play commences. Stick with traditional rules and don’t try to put your own spin on things as any sway on the rules can become confusing and cause conflict. To set things in stone, print out a copy of the rules and go over everything before the game commences, allowing for any questions. If there are any newbies at the table, it might help to reiterate the different poker hands and their values, or even put a sign up listing the different poker hands. In addition to the poker game, which is the star of the show, there are other steps you can put in place to take the night to the next level. Choose some nice background music, nothing too distracting, perhaps some smooth jazz or cocktail classics to set the mood. If there’s a TV in the room or you have a projector screen, consider streaming a casino movie in the background, like any of the classic James Bond or Oceans 11 films, just to really set off that casino vibe. Not too familiar with the rules of poker? Why not try playing poker online so you can familiarise yourself with the different poker game formats, rules, and hone your skills before inviting guests over for a poker night. The best online casinos allow you to play for free in practice mode or for real money bets, with a much greater variety of games than you would find in a land based casino.